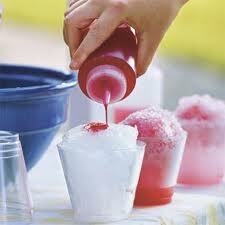 Cool Down With A Wine Snow Cone. Make It! Crunchy, cold, and sweet, these snow cones are similar to New York City street ices and Italian granitas, but are ever-so-slightly alcoholic. All in all, a seriously cool way to enjoy wine. Cheers indeed!